Ms. Lee: Me and much of the world have inquiring minds. Can you share a few moments in the near future? Author Harper Lee accomplished that feat way back in 1960 with the publication of “To Kill a Mockingbird,” a novel set in a small Alabama community in the 1930s. It was her first and only novel, or so the world thought. And, it won a Pulitzer Prize for fiction in 1961. You might have read “Mockingbird” — I did in 7th grade — and know the plot, and the fact the story was later made into a pretty good film. So, I won’t tread back. Last week, you also probably read that Ms. Lee — who reportedly has not published any long fiction since “Mockingbird” and likes her privacy — had a sequel laying around somewhere. 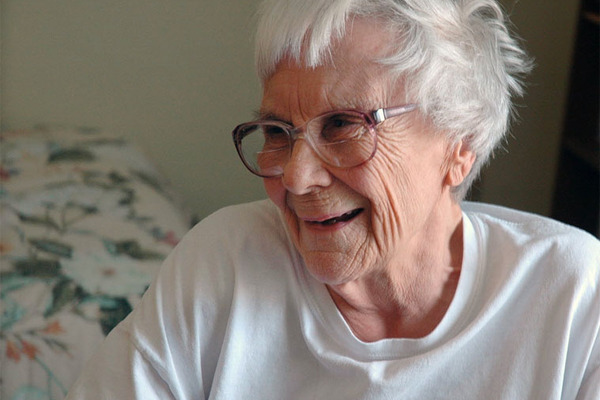 That work, “Go Set a Watchman,” will be published this July. Apparently, Ms. Lee didn’t remember that the novel “survived” the decades since her master work became a beloved literary sensation. 1. Does Ms. Lee, a superb storyteller, observer of pivotal moments in the past century and someone with an obvious command and love of the language, have other non-published forgotten manuscripts besides “Watchman?” Perhaps there’s a worn manila folder stuffed into a dusty cabinet somewhere that’s holding another Harper Lee literary treasure. 2. Are the rights for “Watchman” already being negotiated to be made into a film? Hey, a cinematic sequel — as well as a prequel — has been done successfully before, especially those involving Jedi knights, Hobbits and Bruce Willis. 3. And, why has Ms. Lee not been compelled to share thoughts on the beauty and ugliness that shaped our modern world? After all, she divided her time between New York City and her home town of Monroeville. Surely both places offered the potential for inspiration. Plus, writers … well, write. Not sure if Ms. Lee and her publisher have secured public relations counsel, but I’d gladly offer my services if called upon. Full disclosure: I’ve never developed a strategic communications plan for a novel, but I have some experience writing fiction. In fact, I published “installments” of a short story, “Snapdragons in November,” in this space way back in 2010. The links below will provide access. Rest assured: If I earn a Pulitzer for “Snapdragons,” it will not be decades until you hear from me again. This entry was posted in Uncategorized and tagged American novel, Go Set a Watchman, Harper Lee, Pulitzer Prize, Snapdragons in November, To Kill a Mockingbird. Bookmark the permalink. Good Morning Beth: Sincerely appreciate your comment. Thinking further, perhaps Ms. Lee wanted to avoid the limelight and the BS that probably goes with it surrounding what followed the publication of her debut novel. Wonder what she could have done to advance dialogue on civil rights and other issues if she continued to publish. Speaking of dialogue, I think your FB friend will have lots to get angry about since the news cycle on Harper Lee still has a long way to go.